Here you'll find a collection of food photographs that I've taken with my iPhone and shared on Instagram. Society Fair in Old Town Alexandria, Virginia made croissant doughnuts on a recent Saturday...scrumptious. 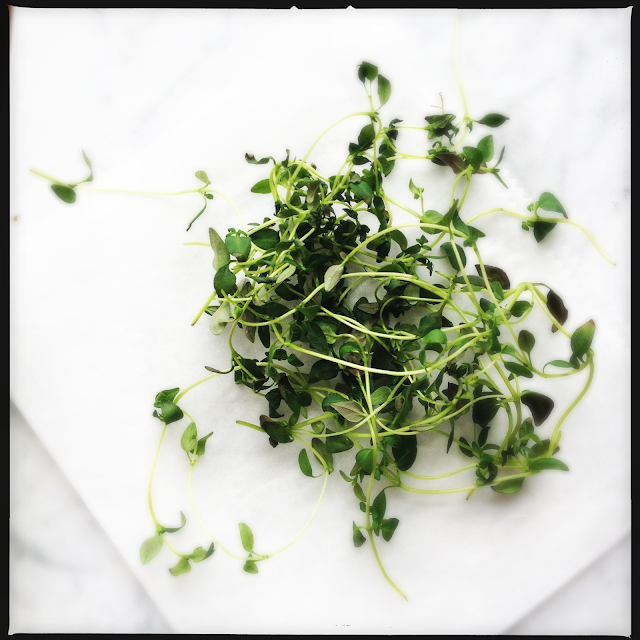 fresh thyme for Lemon, Ginger + Thyme Shortbread. 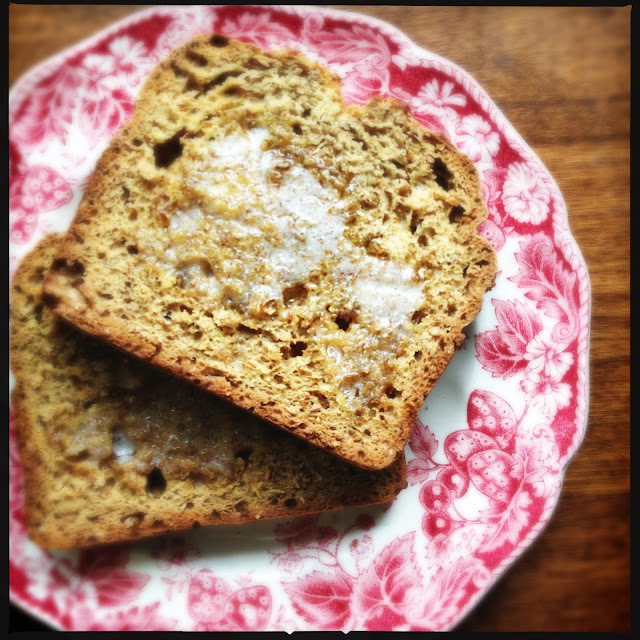 Comfort food: Irish wheaten bread with butter. 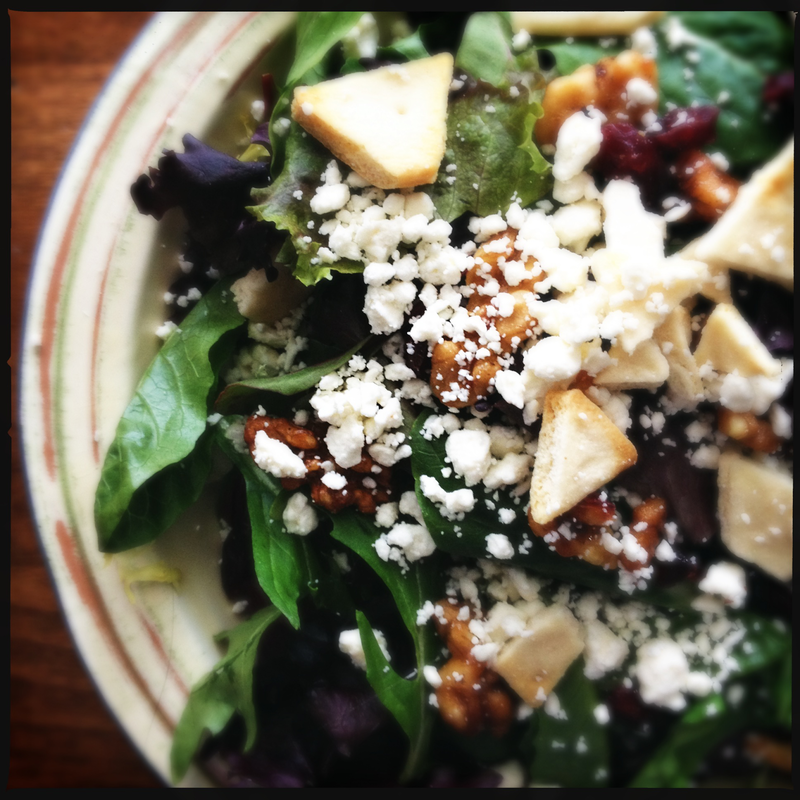 Salad with feta, walnuts, peta bread, and raspberry vinaigrette. 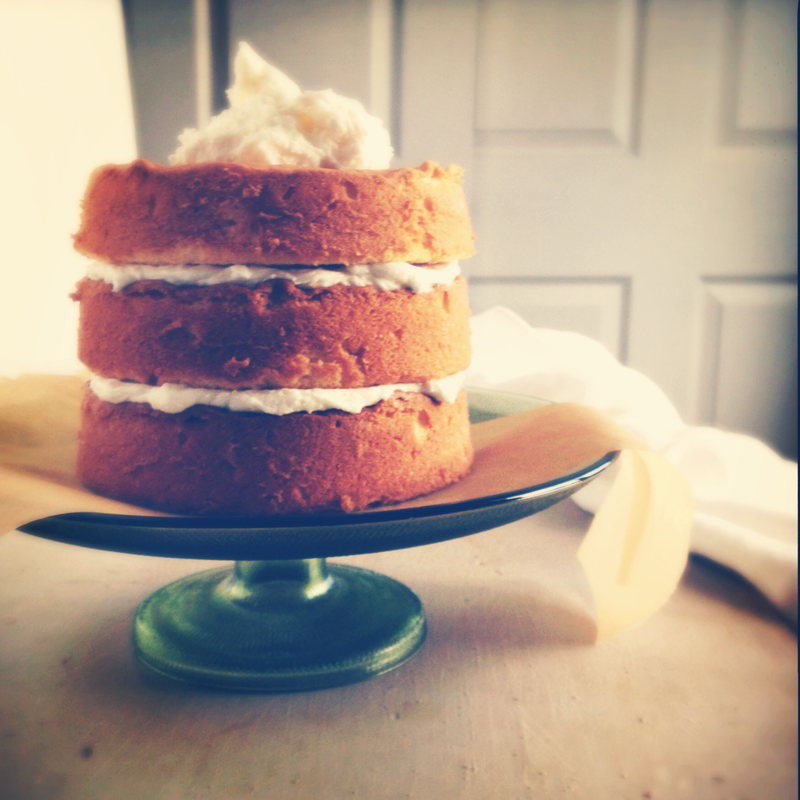 Triple layer orange-infused cake with buttercream frosting. 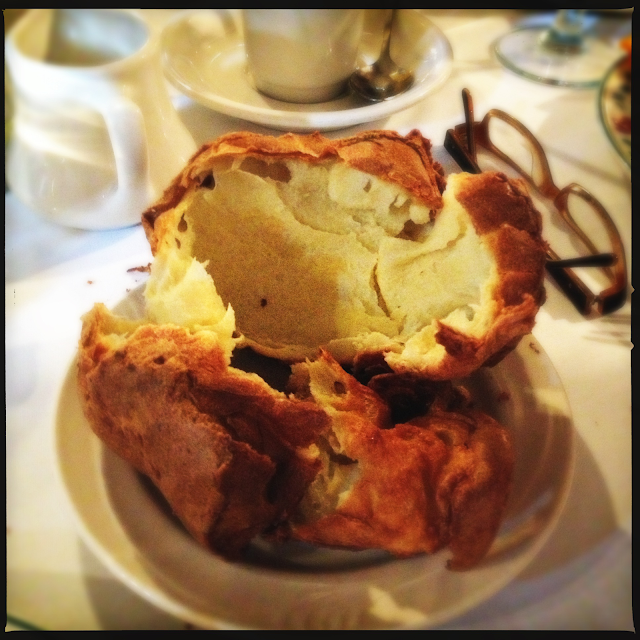 Popover at Normandie Farm Restaurant in Potomac, Md. 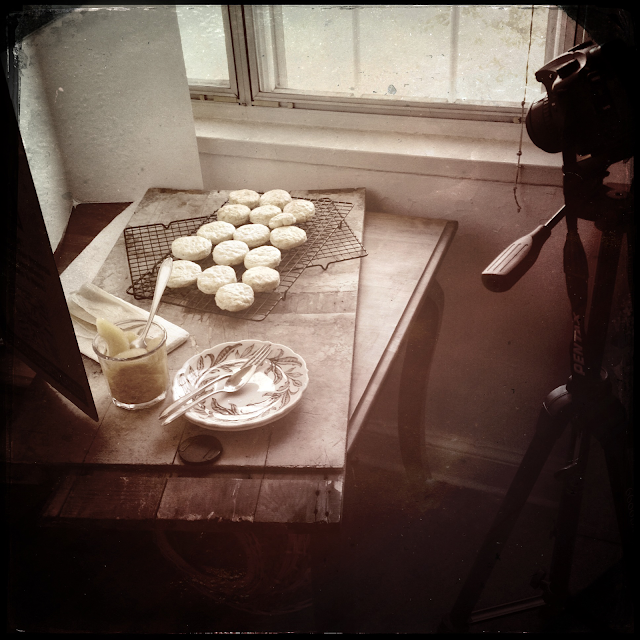 Setting up to photograph Potato Scones with Nutmeg. 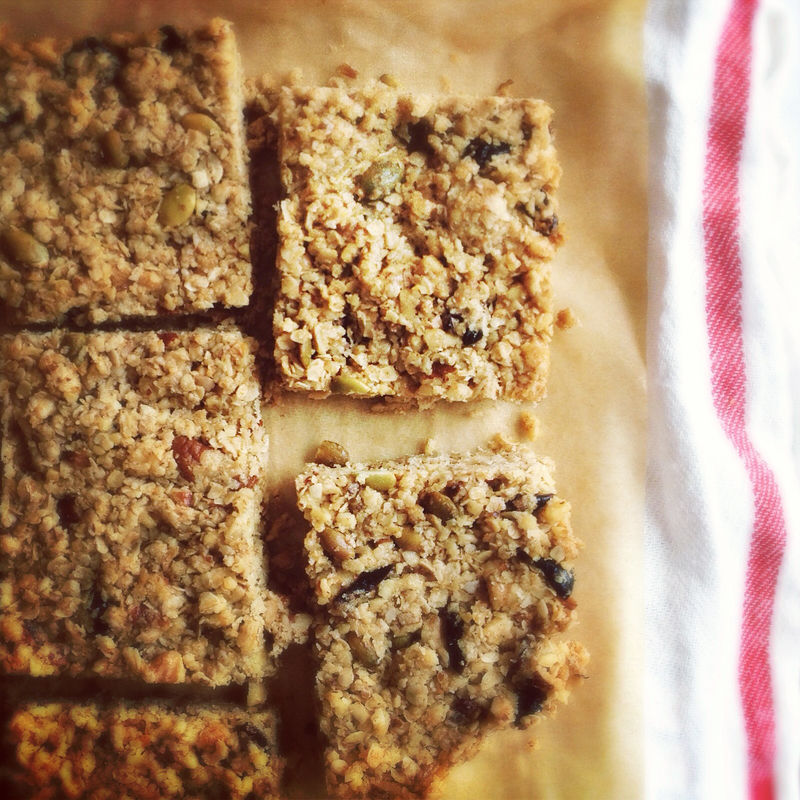 Homemade granola bars with pumpkin seeds.